This cake is decorated with flowers made entirely from icing. Every part of it is edible and the happy couple were thrilled with their spectacular wedding cake. Cakes make a very special contribution to any celebration and it is important that they are not only beautiful as well as delicious, but their contribution is so much greater when they reflect the character, passions and personality of those involved in the celebration. For your perfect cake, whatever the occasion, call us on the number shown or click in the header of any page to send an email. These summer months are perfect for those evenings in together with a romantic meal for two, a glass of bubbly and promises made. Why not enjoy it more by having BB Cuisine create a special meal for you both? Whether you have a diverse taste or a small appetite, allergies or intolerances, we can cater for all your dietary needs. With years' of experience under our belts, BB Cuisine love to create meals from scratch or embellish something bigger - and we'd love to do that for you. The old man sat at his market stall as he had done two days each week for the past 40 years. Arranged before him, the beautiful, unique dolls he made always attracted admiring visitors. Some bought, some didn't. On this particular day, a very large, very haughty lady admired one particularly splendid doll with an angelic face, long, flowing tresses and a lace trimmed gingham dress. When she enquired the price, the old man replied "Two hundred pounds ma'am". "Ridiculous!" The woman shrieked. "It is no more than a few pieces of wood, some paint, fabric and dishcloth string for hair", she declared, then went on "My husband is in property development and he could buy all those materials for £30, so that is what I will pay you." She was slightly surprised when the old man replied "O.K., come back in a week. As the week passed, the lady became more and more proud of her achievement in bartering with the old man, mentioning it to many of her friends over tea and coffee rounds in the local ladies circle. Returning to the market on the appointed day, the old man recognised her as she approached and brought out a large box, which he handed her. On opening it, the woman was horrified to see various shaped pieces of wood, some gingham, lace, fasteners and some small pots of paint. "Where's my doll?" she asked "My daughter won't want to play with this. I paid you for a doll!". The old man smiled and replied "In the right hands, that is a doll. All you need to add is the lifetime of experience, the skill and the love for a finished product that you didn't add to your order. What you have is exactly what you paid for." The moral of this story is that the true value of any bespoke product is greater than the sum of its component parts. The intangible elements of skill, experience, dedication to quality and the numerous costs of running a business all contribute to the final price. Whenever there is a family special event coming up, we often struggle to think of a unique way to celebrate it. Struggle no more because we have the best ideas to ensure the event is remembered forever. Whether you want an intimate table for two or an all out buffet for thirty, BB Cuisine can cover it all. Once we've discussed with you any specific diet requirements, particular foods to be included or dismissed or even a colour scheme you want to consider, we will design the spread and keep you fully involved throughout the entire process. Completed with ease, professionalism and above all, friendliness, BB Cuisine is here to give you the very best experience. We can't wait to get your call. February is the month to celebrate pancakes and love, so why not fall in love with our cakes, savouries and everything edible? At BB Cuisine, we focus on the client's needs, so if that is a celebration cake, catering an intimate dinner for two or a buffet for a family gathering, we will deliver exactly what you've asked for. 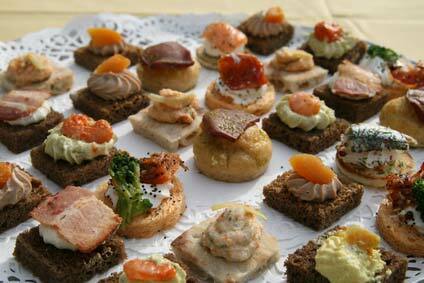 We are passionate about good food so you can be sure of a great experience with your event. And whatever we can do to make it that bit extra-special, just ask. Here's to a great February! Get in touch soon. Angela is also THE bubbliest person around so if you are entertaining this festive season, keep her in mind because a little bit of her bubbly character is inside every morsel of food she makes. It is traditionally the best time of year to gather your friends and family around you too when you pop those corks or munch away on those sweets, you can do it in the knowledge that you chose BB Cuisine for your party. From bubbly personalities to opening the bubbly for a new year, we wish you all a Merry Christmas and look forward to serving you in 2018. 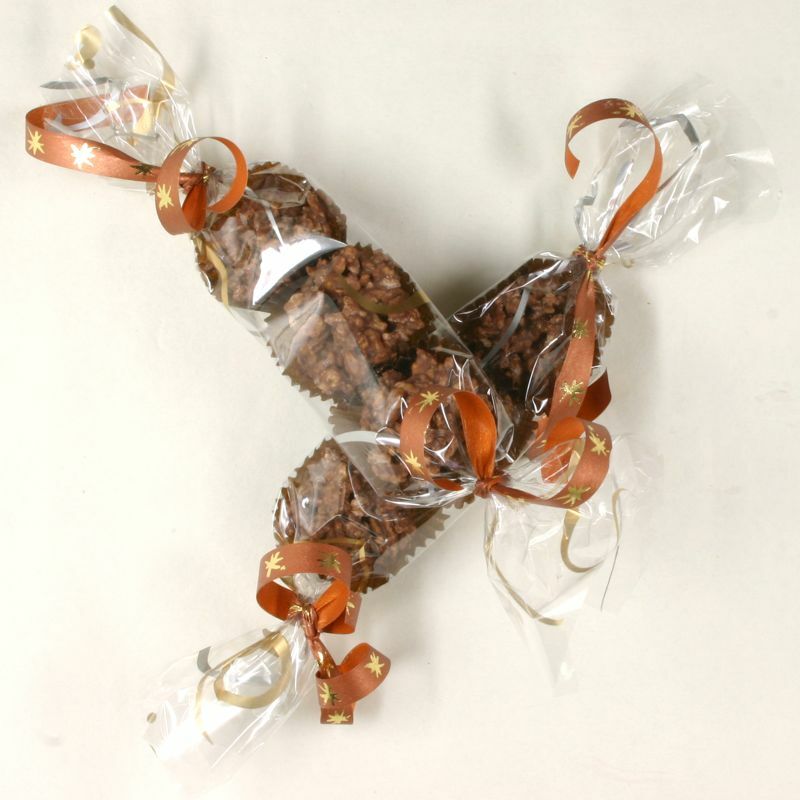 While some of us don't want to think about Christmas yet, it is worth remembering that it is a matter of a few weeks away, and ordering your Christmas goodies starts now. 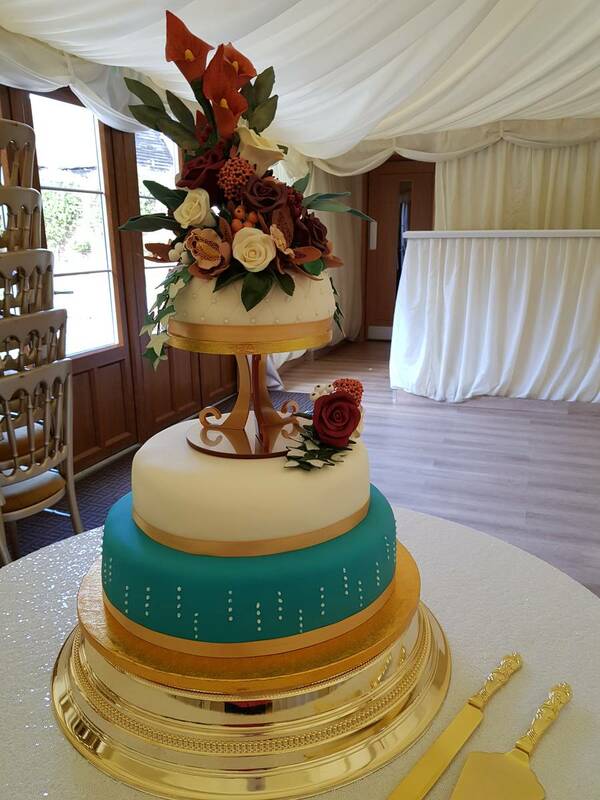 Angela makes incredible cakes incorporating amazing creativity in every design. 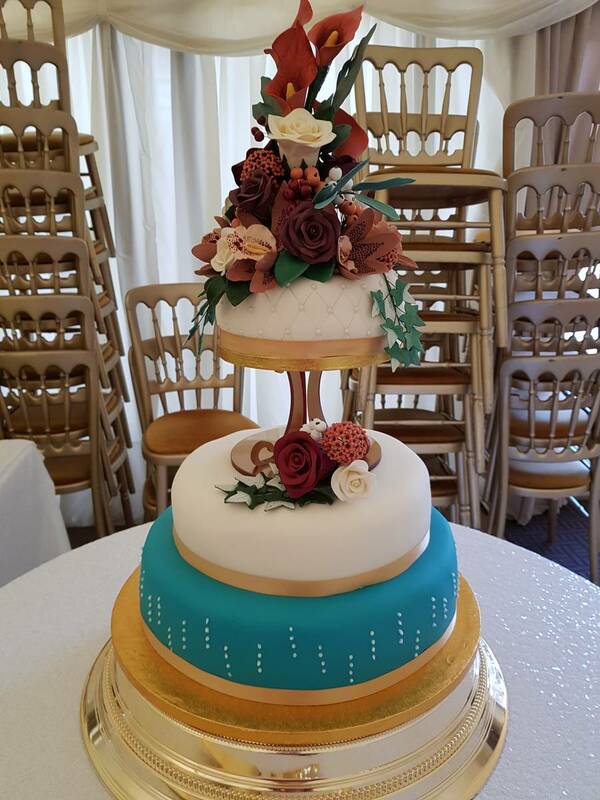 Just look at the gallery to see some of the most spectacular cakes she has made in the past. You are sure to be impressed. 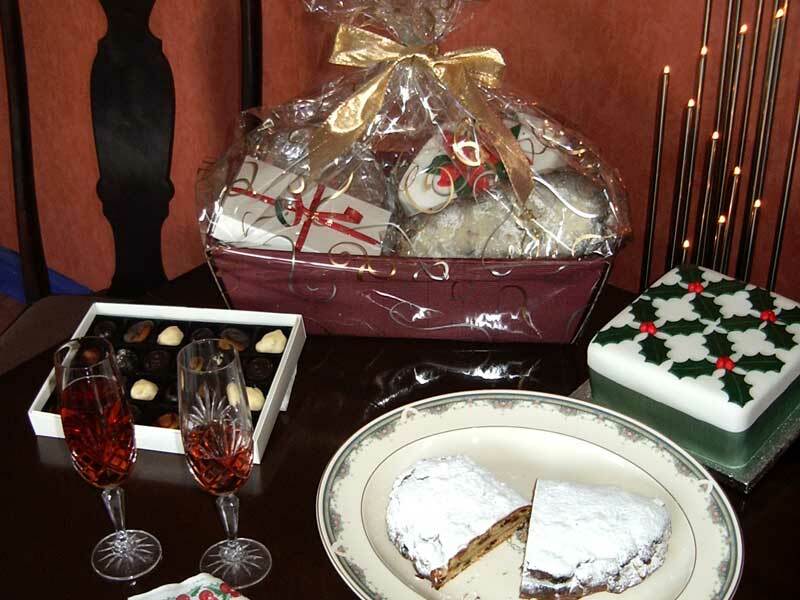 If you have a specific design for that extra special cake for your Christmas dinner table, get in touch now. Angela is fast and flexible, friendly and professional. Plus each cake is more affordable than you might think. Send in your enquiry or pick up the 'phone now. You'll be so pleased you did. Just because autumn is here, this does not mean that cakes need to be wintery. Sometimes, your ideal cake is something completely different and BB Cuisine are here to make that happen. 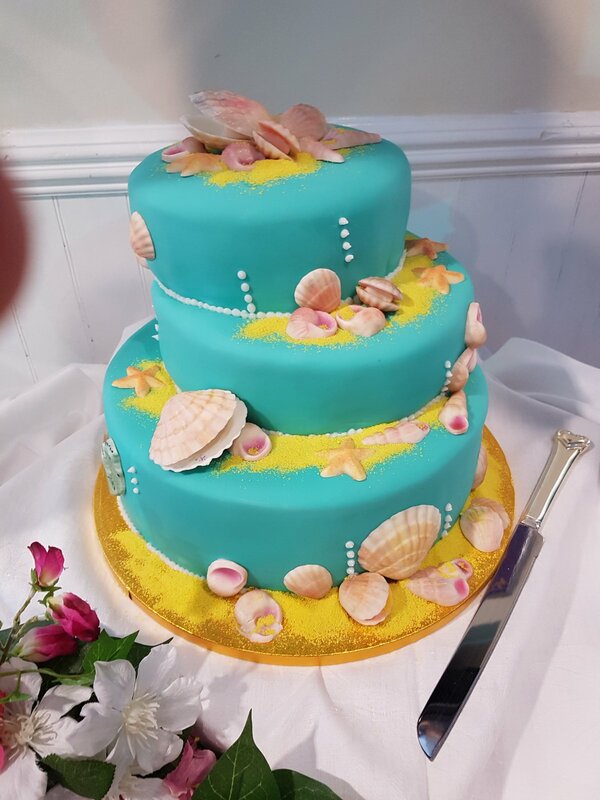 This seaside cake was made for a customer who wanted to think about the beautiful weather, the shells you find on the beach and the stunning blues you see above and below. 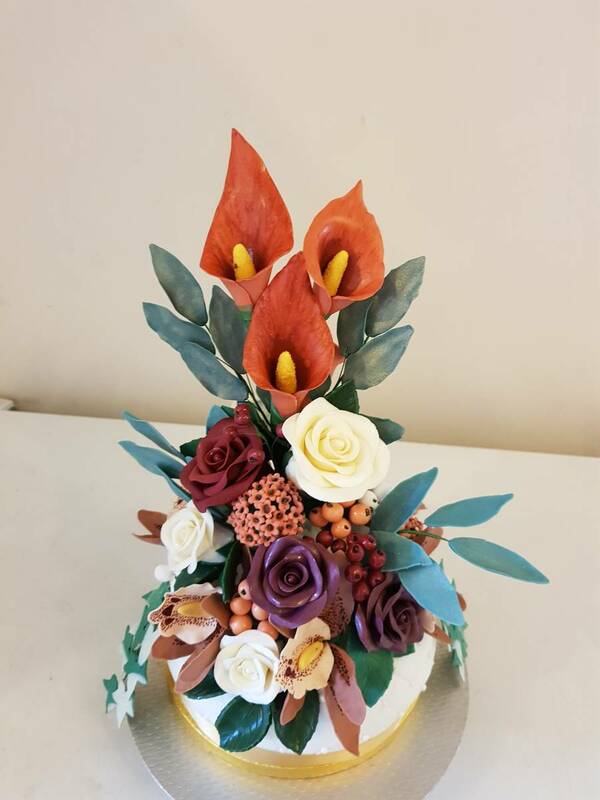 This cake was made to the requirements of the customer and each one is baked and decorated with so much care to get it just right. Your perfect cake is not just about getting the looks of it right on the outside but the insides need to be just so too. Therefore, when you made an order with BB Cuisine, you are guaranteed to get just the right type of creative artwork on the exterior and the interior. 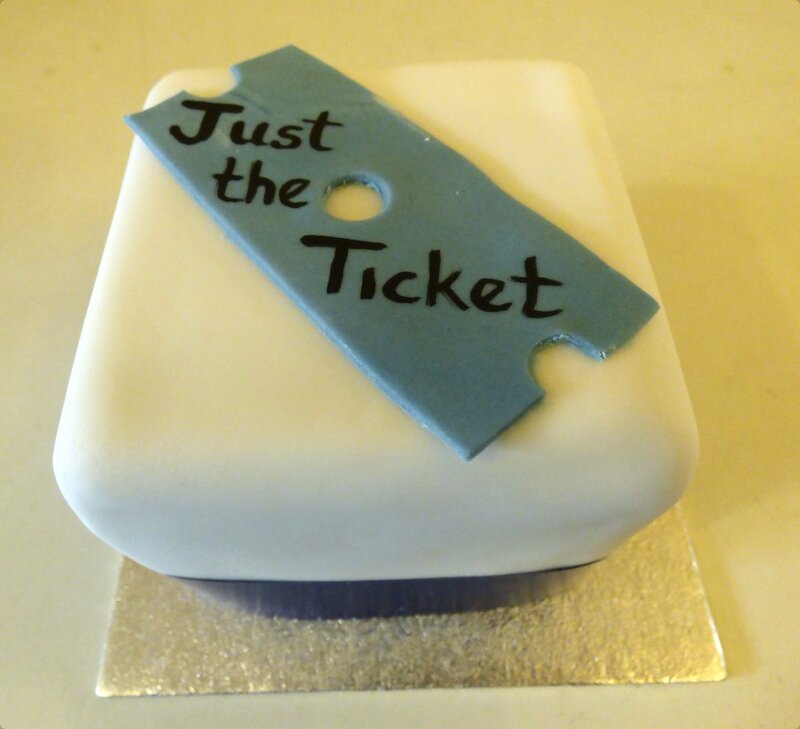 Get in touch with us for that piece of edible artwork now, you'll be so pleased you did. One of our customers is taking his business out on the road in a converted single decker bus as a mobile office and demonstration unit. The exercise is aimed at getting people to visit briefly and take a good look at their web site to make sure that it is "Just the Ticket". He was telling us that in keeping with the theme, they will be issuing tickets from a vintage machine to all visitors, then drawing out a lucky number for each venue, and wanted to offer something a little unusual as a prize. BB Cuisine to the rescue! 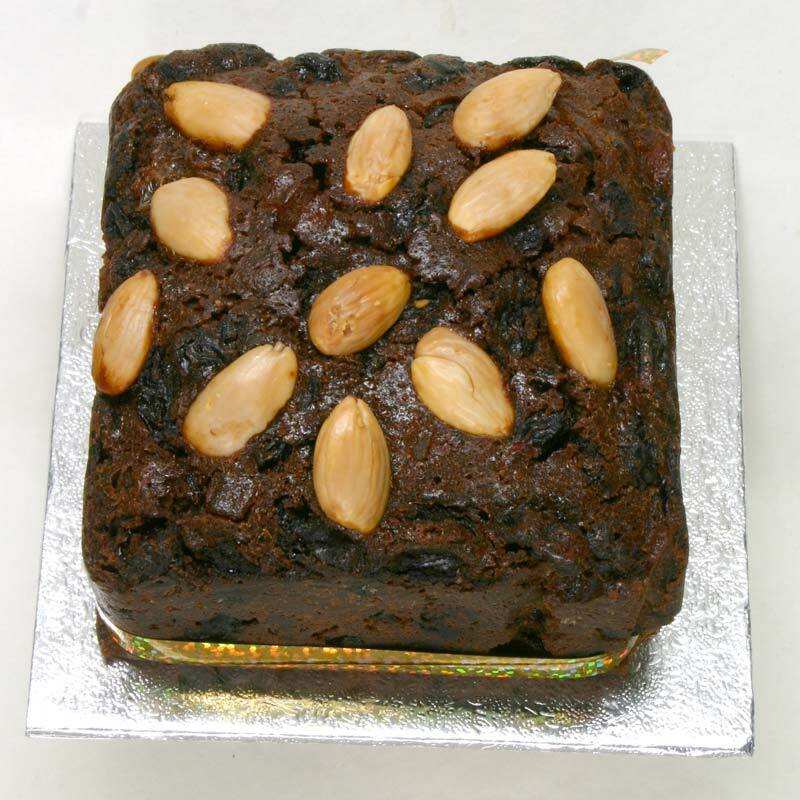 We suggested that a delicious fruit cake, decorated with an icing bus ticket may be appropriate and different. 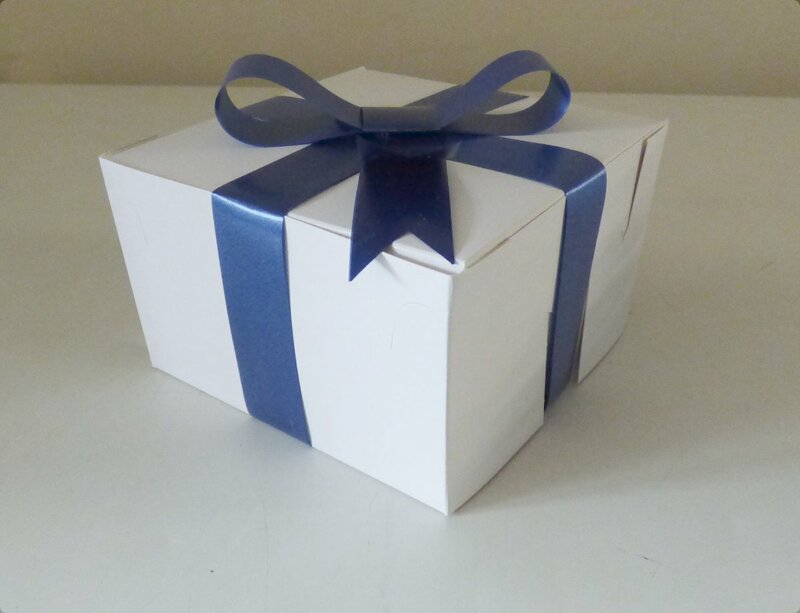 The result is shown in the pictures, individual fruit cakes packed in presentation boxes, ribbon wrapped and sent to the lucky ticket holder at each venue. We wish the Village Websmith good luck on the "Just the Ticket" tour and look forward to offering future prizes for more promotions. March is a great time for dinner parties, wedding and conference catering and parties as well as the two days celebrating the Saints St David and St Patrick, there is also Mothering Sunday, spring is in the air, so a great time for romance and weddings, while for businesses, the end of a successful year and the beginning of another bring out the best in conference organisers. Corporate customers, families and couples throughout the Brentwood, Southend-on-Sea, Grays, Dagenham and the surrounding areas area will all find something to celebrate. 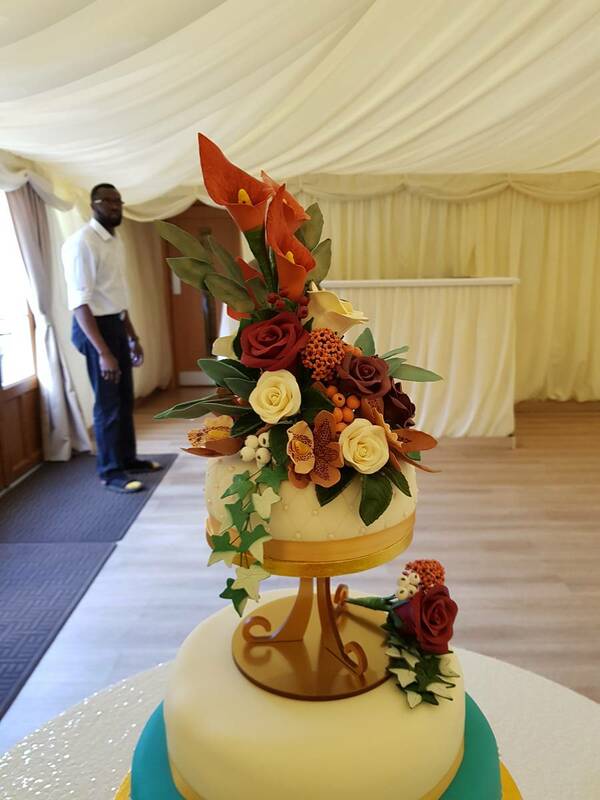 Getting the catering right can be very easy, BB Cuisine has a lifetime of experience in catering, offers creative cake making and with very strong customer focus, ensures that buffet organisers get exactly what they want. If you would like to arrange professional catering for one of the significant days in March, or just want to entertain at home, offering friends and family a stress-free meal,call BB Cuisine on 01708 706558 or click in the header of any page to send us an email. Every time of change is a time of opportunity. This is very true of January, the perfect month to look back on the previous year and of course look forward to the coming one, make the most of the new year opportunities ahead. Janus, the Roman god who gave this month its name looks forward and looks back and, we are sure would appreciate the consistently high standards of dinner parties, wedding and conference catering and parties. 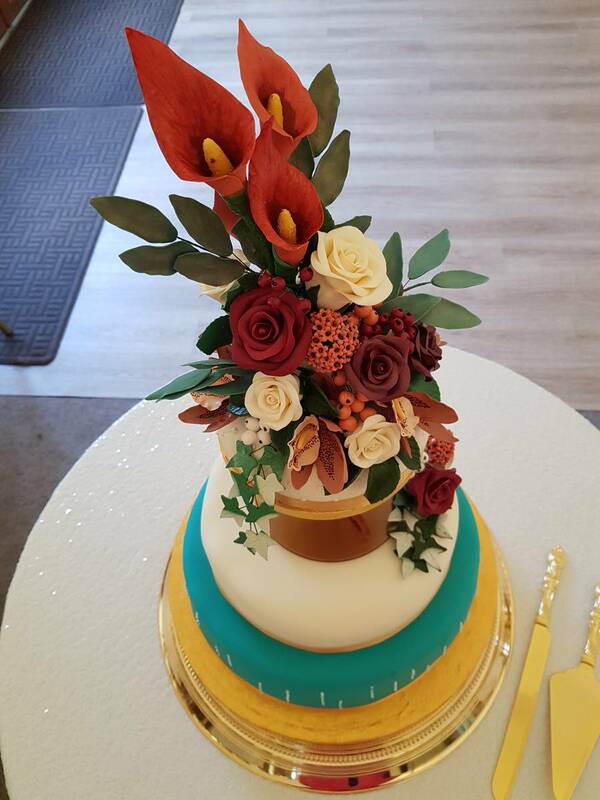 By focusing on our customers including corporate customers, families and couples throughout Brentwood, Southend-on-Sea, Grays, Dagenham and the surrounding areas who come to us for the lifetime of experience in catering, our creative cake making and our very strong customer focus. Make a great start to the year ahead by talking about professional catering for your event then sit back and enjoy a stress-free meal. All you need to do is call BB Cuisine, 01708 706558 or click in the header of any page to send us an email, and relax. December is with us and winter is closing in, Christmas is just around the corner and this is always a popular time to think about dinner parties, wedding and conference catering and parties. With limited time available before the whole country goes on holiday, many customers including corporate customers, families and couples throughout Brentwood, Southend-on-Sea, Grays, Dagenham and the surrounding areas will be making the most of their last opportunities this year to benefit from the lifetime of experience in catering, our creative cake making and our very strong customer focus, which has earned us our enviable reputation. To talk about professional catering for your event so that you go into the holiday period enjoying a stress-free meal get in touch with BB Cuisine, 01708 706558 or click the header image on any page to send an email.